How safe, easily accessible and pet friendly is Scotland in general? Hi everyone, I’m originally from Singapore, lived in England for about 3 years and have been dreaming about visiting Scotland. i have to say I’m a little timid but am working on it, hence my plans to travel there for a short stay with my little dog for, say 4-5 days? i don’t drink so pub visits wouldn’t be in my itenarary. But I adore salsa/bachata so might consider visiting without my dog if there is a place that is easily accessible. Thanks for your post. Scotland is generally safe and lots of people walk along beaches with their dogs. You wouldn't be able to visit castles with your dog though. You will be able to find salsa dancing in the big cities like Edinburgh or Glasgow - for example in El Barrio in Edinburgh and Glasgow. They are very central - Hanover Street in Edinburgh and Albion Street in Glasgow. If you don't drive, you might consider staying in Edinburgh and taking day trips out. Excellent to hear of your plans to visit Scotland in the near future! I would suggest a stop-off in Dundee, either a short stay or day trip. Later next year in 2018 the V&A Museum of Design Dundee will open. It will showcase Scottish design and innovation and will be the UK's first dedicated design museum. Dundee is also the UK's first UNESCO City of Design, awarded in 2014 so there is a real growth in the creative sector in the city. Other highlights in include the city museums such as McManus Galleries, free entry, RRS Discovery and Scottish Jute Museum @ Verdant Works which are both looked after by Dundee Heritage Trust and are both paid entry. Extremely close to Dundee is the seaside suburb of Broughty Ferry. It is set alongside the River Tay and has a brilliant choice of independent shops, eateries and pubs. You also have the imposing Broughty Ferry Castle which was built in 1496! An even better fact is that Broughty Ferry has a great beach area that stretches eastwards along sand dunes and paths along to Barnhill. This is a popular spot for dog walkers and other leisure activities. Along this route is the lovely Glass Pavillion, an art deco restaurant which has a great seating terrace in which dogs are allowed. It is just superb on a sunny day and in the summer months from this area you might be lucky enough to spot bottlenose dolphins in the that spend their summer holidays in the River Tay!!! Dundee is well connected by road, bus and train and as such you can even take short trips out of the city by for example bus or train to Arbroath which as plenty of coastal walks and beach area or up to Montrose which has a great coastline over looking the North Sea. Even you could take a Stagecoach bus from Dundee to Tayport in Fife. It is a journey of around 30mins and close to Tayport you have Tentsmuir Forest which is a designated National Nature Reserve. It is a stunning area and plenty of walks to choose from!!! Hope this information might prove useful in your planning. Hope you all really enjoy your visit up to Scotland!!! @Fluffaduff Hi there, you’ll find Scotland safe and dog friendly. There are lots of wonderful beaches and places you can walk with your little dog. There are also lots of dog friendly castles in Scotland. 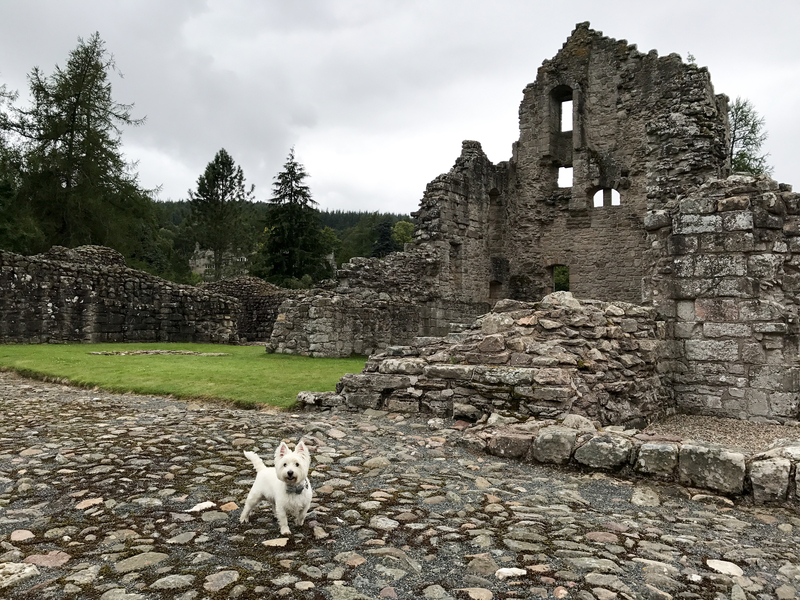 Historic Environment Scotland who look after many of Scotland grand medieval ruins allow dogs in most of their castles. It’s only really the big ones like Edinburgh and Stirling Castle that don’t allow dogs. 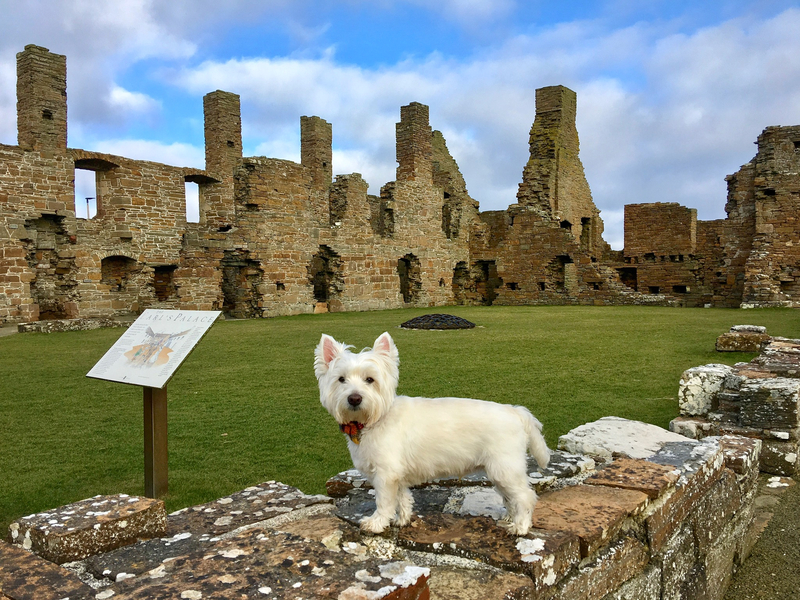 Craigmillar Castle in Edinburgh is dog friendly plus there’s Tantallon, Direlton and Hailes in East Lothian which dogs can visit too. Check out the HES website for a list of their dog friendly properties. The National Trust for Scotland tend to have stately home type castles in their care and while dogs can’t go inside they’re welcome in most of the castle grounds.